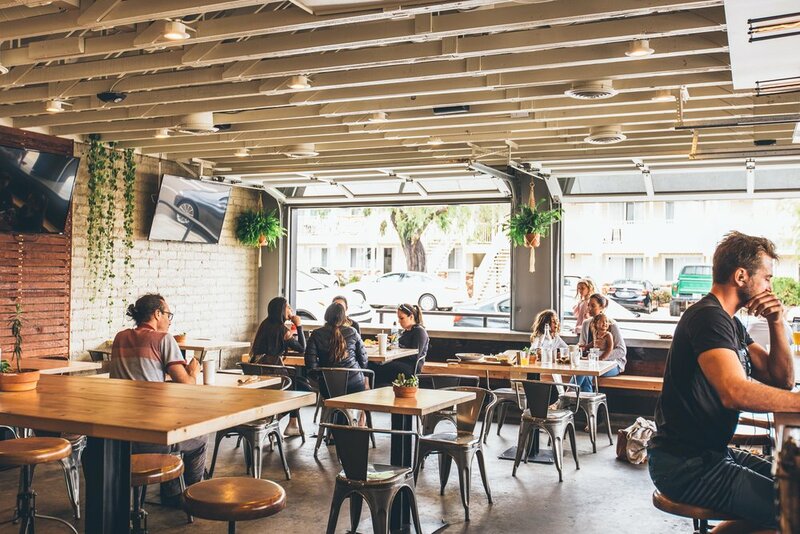 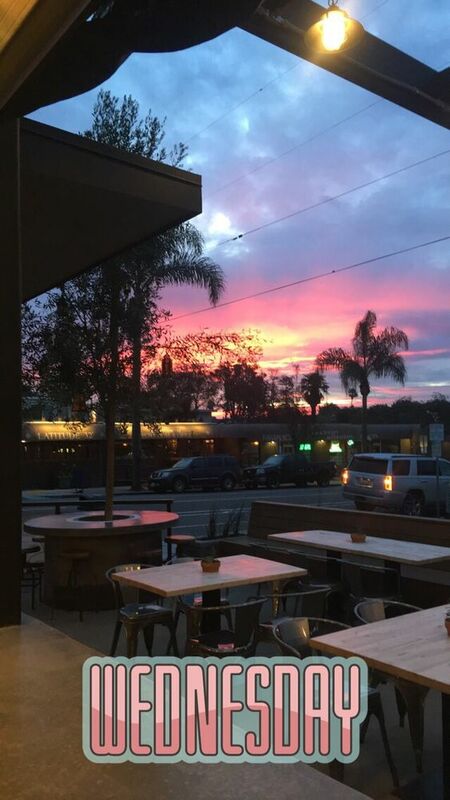 A 1,800 square foot renovation of an existing coffee shop into a restaurant in the Pacific Beach area. 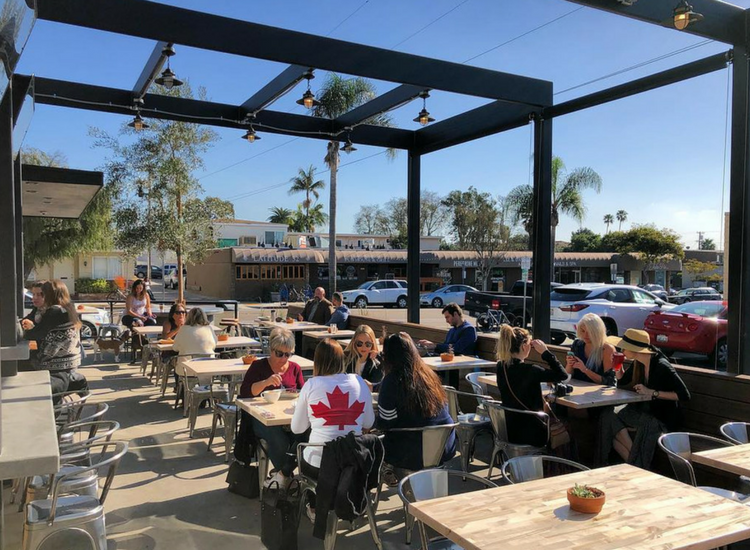 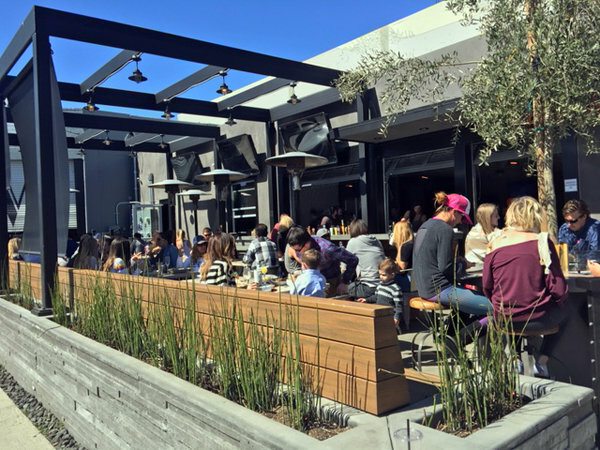 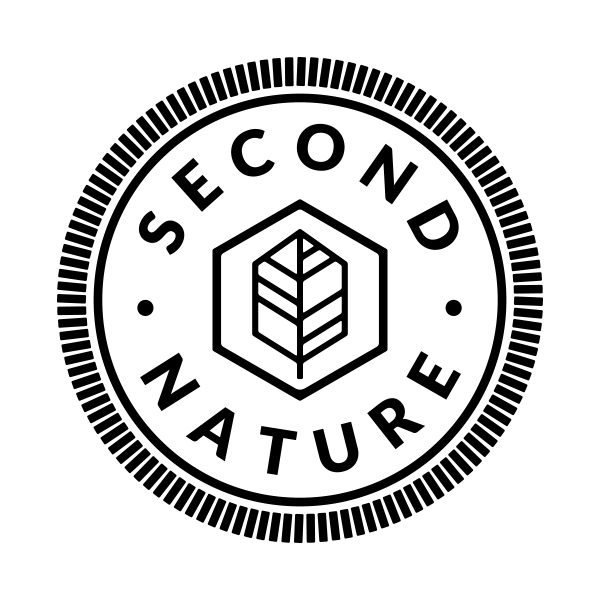 The addition of a 700 square foot patio with a black steel canopy provides ample seating, allowing patrons to enjoy the sea breeze rolling through and the updated menu coming out of the fully expanded commercial kitchen. 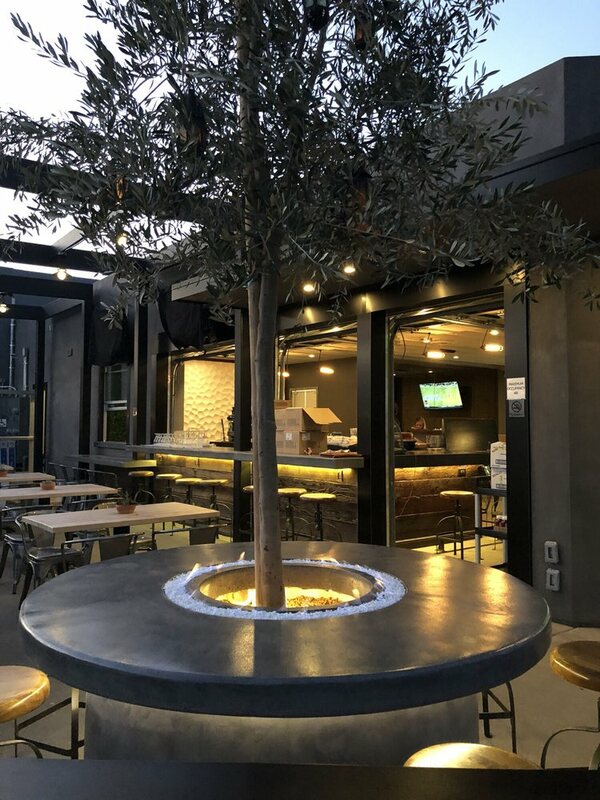 Roll up doors and windows allow the bar area to wrap its way outside and further emphasizes the melding of industrial elements with the modern design found in the careful selection of materials throughout the space.